The Herods—Who? When? and Where? The boundaries of Judah changed throughout history as neighboring nations retreated from, or conquered, portions of Judah. In 587 B.C., the Babylonians conquered Judah, destroying much of its capital city, Jerusalem, including its walls and temple. Many of the inhabitants of Judah were th en taken (exiled) to Babylon, while the land of Judah became a Babylonian province (a large area under the rule of the Babylonians). 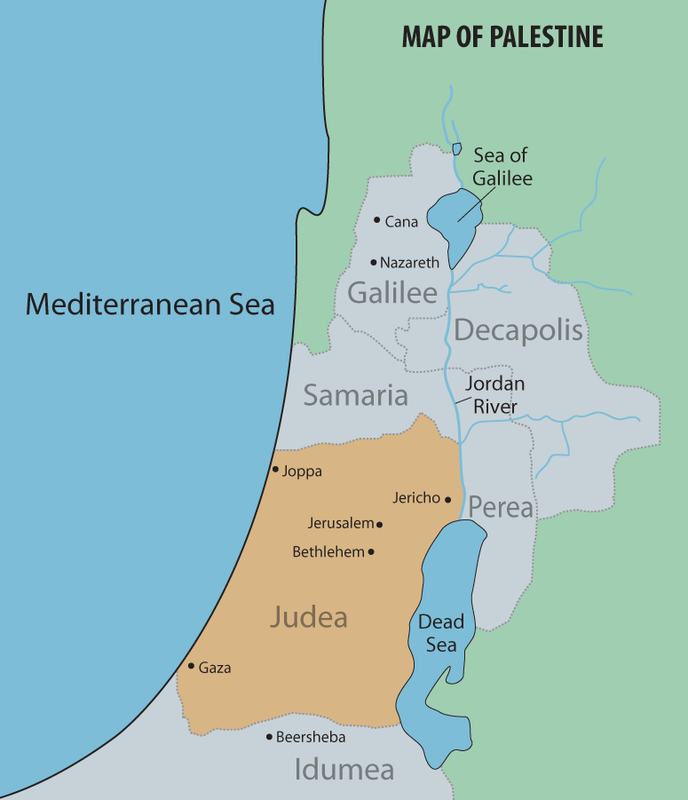 In the time of Christ, about 500 years after the Jews’ return from Babylon, the region of Judea (which was now under Roman control) extended as far south as Gaza and as far north as Joppa (roughly 50 miles). 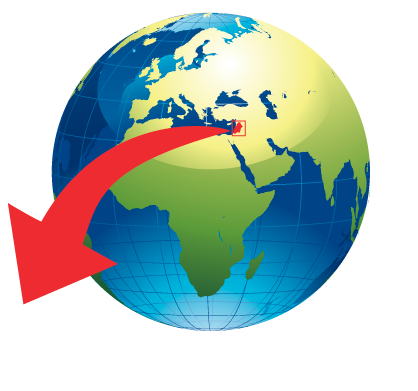 It also measured about 50 miles from east to west (from the Mediterranean Sea to the Dead Sea). Judea was basically south of Samaria and west of the Jordan River. However, Judea's territory also extended a little into the eastern side of the Jordan. 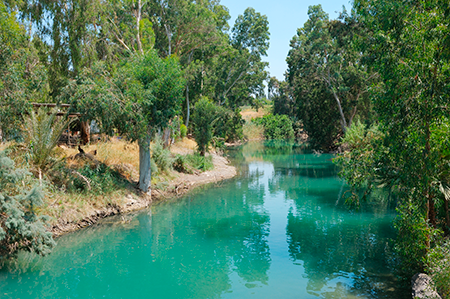 The New Testament calls this area “the region of Judea beyond the Jordan” (Matthew 19:1). M any may think that Jesus spent a lot of time in Judea since He was born there (in the town of Bethlehem) and died there (in Jerusalem), but He actually spent most of His time in Galilee. In fact, Galilee is mentioned by name many more times in the Gospel accounts than Judea and Samaria combined. Yet, all three regions of Palestine played important roles in the life of Christ, and especially in the early church.